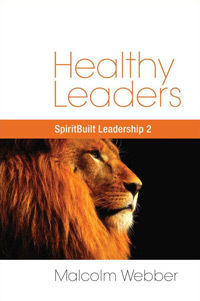 This series of Letters examines Jesus’ method of building leaders. 7. Leadership is about people, and Jesus demonstrated the truly relational nature of leadership. Jesus was not only “relational” in His leadership; He was “truly relational.” He genuinely liked people. He wanted to spend time with people, listening to them, talking with them, helping them with their lives, leading them to the Father. Apart from this genuine love for people, spiritual leadership soon becomes cold and lifeless, a mere going through the religious motions – a plastic and passionless professionalism. Moreover, Jesus never learned to be relational: it came naturally to Him out of His union with His Father. In inward fellowship with His Father, Jesus knew His Father’s love for men. He didn’t just know about it as a doctrine from seminary – He knew His Father’s love for men; He was absorbed in it, filled with it. How often today we meet Christian leaders who merely “put up” with people because they have to. It’s their job, and they have learned how to do it – yet they have no real heart for it. Today we are very good at producing leaders who are efficient “project managers”: task-oriented achievers who can “get the job done” whatever it is – evangelism, pastoring, counseling, small groups, teaching. We are not so good at raising up leaders who genuinely love people. How often we observe this lack of genuine concern in soul-winning to cause the unconverted to react against those who would offer help. He seems to sense inwardly that they are merely interested in him as a piece of merchandise to rescue from the burning. It is not out of any personal love for the sinner, but they have a command to obey, a ministry to perform, a project to accomplish. Such ministry is stiff, cold and impersonal. We often see the same thing in pastoral ministry. The pastor has a fixed wooden smile for people, but in his heart there is no burning love. His answers are the “right” pat answers he has learned to give; they do not come spontaneously from a warm heart filled with the Father’s love for His children. He promises to pray for the needy (and some even do go beyond the promise and think a quick thought of prayer or mouth a couple of words on their behalf), but his heart is not moved by their condition. This is professional leadership; it is a job that we accomplish well. Paul genuinely loved them and cared about them. He was not putting up with them because he had to. Today, many leaders are confused about the nature of ministry. Such a leader sees “ministry” as something that needs to be accomplished and developed; in his mind, his “ministry” has come to have an existence separate and distinct from the people he says he serves. He loves ministry but he is bored and irritated by people. Biblically, however, we do not develop and serve “ministries,” we love and serve people. Our people are not simply a means to the end of “ministry”; the people God has called us to lead are our end! Our next Letter will continue to examine how Jesus built leaders. This month’s recommended website is www.barna.org. A valuable source of strategic research. Especially interesting is Barna’s report of November 26, 2001: How America’s Faith Has Changed Since 9-11. This month’s recommended book is Thunder from the East by Nicholas Kristof & Sheryl WuDunn. An outstanding examination of today’s (and tomorrow’s) Asia.